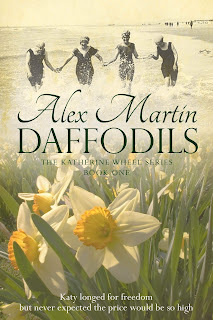 Alex Martin - In The Plotting Shed: Audio book for Daffodils now published! It is for you, dear reader, to judge whether I made the right decision to narrate Daffodils myself. Listen to a free sample via these links and see what you think! With my fear of public speaking, it was a real surprise to find I really enjoyed the experience. Bringing the characters from the Cheadle Manor villages to life was exhilarating. Speaking their words made them more real than ever to me as I lived through their emotional ups and downs all over again. Editing was a steep learning curve and curiously addictive, but incredibly time-consuming. It's amazing how you can actually read the morphology of certain sounds through the audio programme. Familiar words like 'the', 'and', etc can, with repetition, be recognised by their shape, almost like a musical score. As can certain consonants - the plosive 'p' and the sharp cutting sound of a 'k' or a 't', the sibilance of an 's' or 'sh'. Fascinating. I soon learned to recognise 'Katy'. It took three months to complete the project and I can't wait to start another, so I'm hoping to narrate the sequels Peace Lily and Speedwell shortly. All this audio work has distracted me from writing Woodbine and Ivy but I'm longing to return to it. 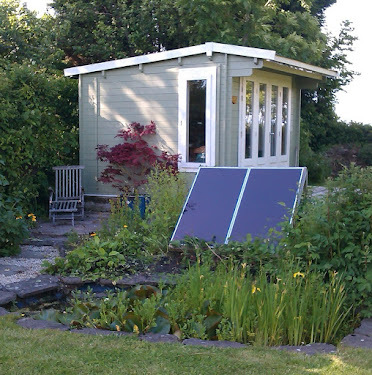 The first draft of Book One (Woodbine) is now roughly complete and work has begun on Book Two (Ivy) where things are really hotting up, but I won't reveal any spoilers just yet. My plan is to publish both books before the end of this year (2019) but progress is slow while I make some big changes to my life - all positive ones, I'm happy to say. Listen to Katy and Jem's story through the voice of their creator, who loves them.